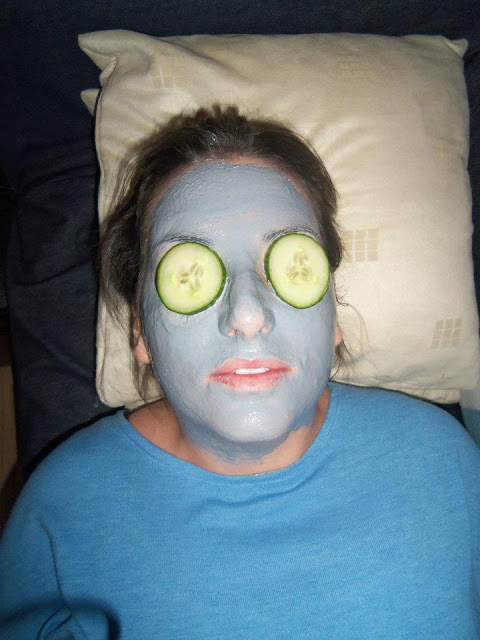 Firstly I would just like to clear something up - putting cucumber on your eyes only works in the movies!! In real life it slides around all over your face and also (and more importantly) temporarily blinds you! Enough of my inability to be glamourous and girls, onto the actual product. I bought a little sachet of the Sanctuary Deep Cleanse Facial 5 Minute Thermal Detox Mask from Boots for around £2 (but it was part of a 3 for 2 deal so it was free!) and what a great buy it was. I'm pretty slack when it comes to anything above and beyond my daily cleanse, tone and moisturise but this really did feel like such an indulgent spa treat! I don't think I had properly read the front and so when it started to actually feel pretty hot on my face I was a little startled, that soon turned to amazement though, it really does just make your face feel so warm, as though you're sealing the mask on with a hot towel - it was so luxurious! My face needs all the help it can get so I left the mask on for a lot longer than five minutes (while trying to relax listening to Adele but actually finding myself covered in cucumber and blinded by vegetable slime - I gave up and ate the extra slices) and when I washed it off it was as though I had a whole new face!! I can't explain how soft this leaves your skin feeling, and not only soft but glowing and plumped! I am 100% getting the full size, and maybe it will be a start of a new and improved facial routine! i always love a good face mask! i randomly picked a full sized mask by mario badescu, and it's suprisingly really amazing (because it kind of smells like old lady perfume!) like, i'll put it on before bed and wake up with totally awesome skin. i'll probs do a review of it soon! I really want to get a mask that you leave on all night - that might have to be next in line on the mask front! It might be time I treated myself to a mask this evening seeing as the weather in England is foul and I'm hardly going to be out and about!! haha i tried the cucumber trick too! ended up with me not being able to see and rubbing my eyes like crazy to get the juice off - therefore also spreading the mask over my face! this mask looks gorgeous though, will have to try it! I'm glad I'm not the only one who risked my vision for a slice of cucumber!! I'd definitely recommend giving it a go! Thank you for commenting, I'll check out your blog. 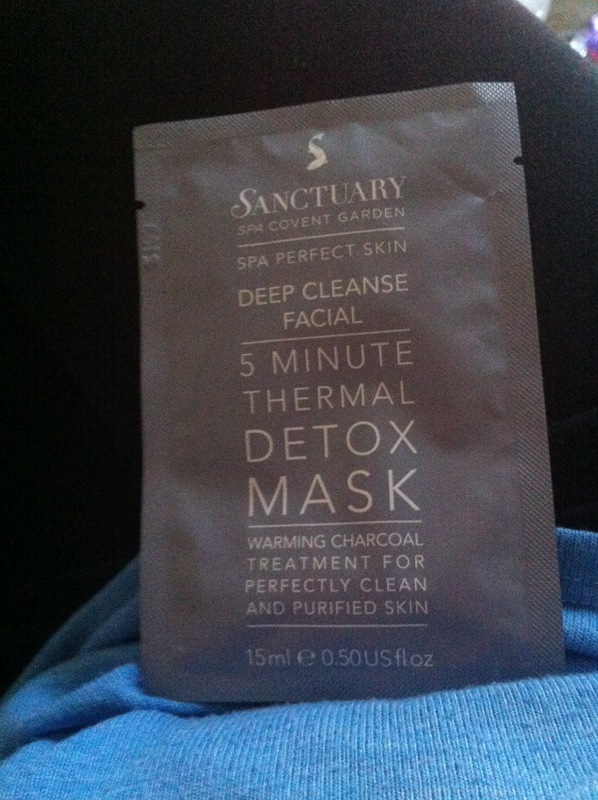 I shall give this one a go, I think - I always enjoy products from Sanctuary. I would really recommend it Mel, especially when Boots have 3 for 2 offers on! !